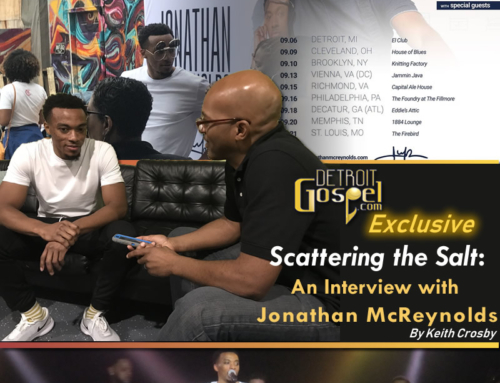 Recently, our gospel entertainment writer, Reneé, sat down with Detroit’s own Partners In Christ to talk to these anointed men of God about their music and their ministry. What she found was a blessing to her and she prays that their message will be a blessing to others. Partners In Christ is a hot new gospel instrumental group with a lot of class and a touch of vocals. Their music combines elements of Latin, jazz, and contemporary and traditional gospel, but their message is keenly focused on spreading the gospel of Jesus Christ. The group features the dynamic saxophone duo of Harry Patton and Daryl Beebe. Patton and Beebe’s debut release, The Covenant Project, speaks to the covenant they made with one another and with God to spread the good news of Jesus Christ through the ministry of music. This covenant, and the mutual respect they have for one another, their talents, and their ministries, is the glue that holds them together as partners. The two have been friends since they met at Mumford High School in Detroit when they were each 15 years old. Although they went to the same elementary school, it was not in God’s plan for them to meet at that time. As always when God is in the mix, the impact is life changing. “The CD took us to another level in our faith, and in our music ministry, as well as our expectations,” says Patton. Because of family commitments and the hustle bustle of music and professional careers, the two partners admit that they don’t really get a chance to spend leisure time together. “Most of our time together is playing music or coming together to write music,” says Beebe. Strikingly, they also get together to pray over the prayer requests from their web site, www.PartnersInChrist2.com. The partners stay busy. In December of 1992, both gentlemen graduated from Kentucky State University with honors. Patton earned a Bachelor of Music and Beebe earned a Bachelor of Art in criminal justice. A few years later, both of them obtained master’s degrees in counseling. In addition to his music ministry, Harry Patton is a counselor at Southfield Lathrup High School in Southfield, MI, and has a lovely wife named Diane. They have two children, Joshua David and Houston Clarke. Daryl Beebe is married to his college sweetheart, Shaun, and together they also have two children, Blake Benjamin and Brooke Faith. Beebe is an assistant principal at U of D Jesuit High School in Detroit. On October 5, 2002, Partners In Christ released their debut album, The Covenant Project. The project is an exciting mix of jazz, Latin, gospel, and other influences. When the partners were asked who they have been influenced and inspired by, Patton noted Vince Guraldi, who is probably most famous for composing the Charlie Brown theme music, and Beebe noted John P. Kee as his inspiration for getting involved in gospel music. “We both were influenced by our music teacher, Dr. Limuel Dokes, who not only taught music but also helped us build character personally as well as musicianship,” says Patton and Beebe. “Working with Belvayuna Stewart on her gospel recording really taught me a lot about focusing in on the gospel and the importance of getting the message across more than perfecting the skill of the music, and how important it is to make a connection,” says Beebe. The Lord has much work for these partners in Christ, and Beebe and Patton have noticed that over the last four or five months the Lord has increased the anointing in the places they’ve ministered. “It hasn’t been any effort for people to respond. People have just been more receptive,” say the two. As we close out the interview, it is obvious that despite all of their talent, Beebe and Patton remain humbly in awe of God’s hand in their lives and their part in God’s overall plan. This writer can relate to the increased anointing on these two men as I was truly blessed by our interview. Harry Patton and Daryl Beebe have a heart for ministry, and this is exhibited not only in their music but in their lives, and also on their website (www.PartnersInChrist2.com). I pray God’s blessings on Partners In Christ and that the Lord will continue to increase their music ministry. 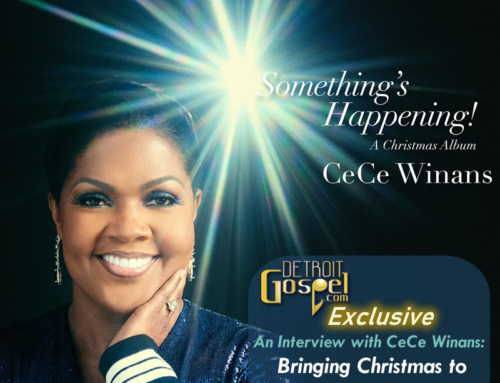 We truly thank God for supernaturally bringing Partners In Christ to Detroit Gopel.com as our first featured artist. It has been a pleasure and a blessing. Saxophonist, pianist/keyboardist, vocalist, arranger, producer, and song writer/composer, Patton received a Bachelor of Music Education from Kentucky State University where he studied writing, arranging and music theory. He taught music at Finney High School for six years. Currently, he is a counselor at Southfield Lathrup High School in Southfield, MI. He has performed and recorded with artists such as Derrick Brinkley, Wynton Marsalis, Kirk Whalem, James Carter, David Baker, Kurt Carr, J. J. Johnson, Karen Clark-Sheard, Marcus Belgrave, and Donnie McClurkin just to name a few. Saxophonist, producer, song writer/composer, and vocalist, Darryl Beebe received his Bachelor of Arts from Kentucky State University in Criminal Justice. He was a member of the University jazz, concert and marching bands. During his undergraduate studies, Beebe gave his life to Christ and began to focus on song writing and poetry. Later, he received a Master of Arts and Master of Education degrees from the University of Cincinnati. He has performed and recorded with arts such as Kurt Carr, Derrick Brinkley, Marcus Belgrave, Teddy Harris, and James Carter, Jerry Horton and Donnie McClurkin. John Tucker on bass; Jason Whitset, Myron Bell and Dan Tramble on drums; Lamar Woodall on steel drums; and background vocalists Barbara Brown, Valerie Foley, Monay Wade, Candice Smith, Michael Greene, Wanda Tate, Tinisha Taylor and others. For more information on Partners In Christ, or to purchase their new CD, The Covenant Project, check out their website at www.PartnersInChrist2.com.